In 1999 the computer recovery program was established and is codified in Texas Government Code § 497.012. 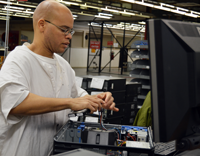 State agencies and political subdivisions can send surplus or salvage data processing equipment to the Texas Department of Criminal Justice (TDCJ) to be refurbished or recycled. 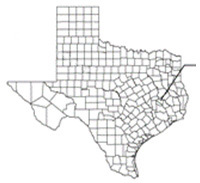 Refurbished equipment is made available to school districts, state agencies, political subdivisions, or statewide organization described by Section 264.603, Texas Family Code, or a local volunteer advocate program, as defined by Section 264.601, Texas Family Code in that relative order of preference. The computer recovery facilities are located in Snyder at the Daniel Unit and in Huntsville at the Wynne Unit. 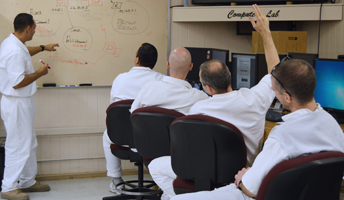 The computer recovery program is beneficial to Texas schools (children are provided access to technology), state agencies and political subdivisions (an efficient and easy method to recycle data processing equipment); and offenders receive marketable job skills training and hands on experience to increase their post-release employment readiness. State agencies and political subdivisions that are interested in sending data processing equipment to a computer recovery facility can contact the nearest facility and download the appropriate packet, as provided below. Data processing equipment may be scheduled for pickup by the TDCJ or customers may deliver directly to the facility with prior approval and a scheduled date of delivery. Schools, city or county agencies, state agencies, and organizations described in Texas Family Code § 264.603 and 264.601 that are interested in receiving refurbished data processing equipment from a computer recovery program will need to download and complete the below required form(s). All eligible entities must complete and submit the System Configuration Request Form, MAL-115B. Statewide organization described by Section 264.603, Texas Family Code, or a local volunteer advocate program, as defined by Section 264.601 must also complete and submit the Texas Family Code, Organization Eligibility Certification, MAL-115C.